Played in all 13 games with 11 starts – an impressive accomplishment after suffering an ACL injury against Oregon in the inaugural College Football Playoff semifinal game in the Rose Bowl…led the team in tackles for the second consecutive year finishing his senior season with 94…ranked 12th in the ACC in tackles…also finished t-12th in the league in tackles per game at 7.2…added five quarterback hurries, three pass breakups and one TFL…two of his three pass break-ups came in the regular season finale at Florida…recorded a career-high 14 tackles and 1.0 TFL at No. 1 Clemson…achieved three double-digit tackle games including 10 at Wake Forest, 12 against Syracuse and 14 on the road against the No. 1 ranked Tigers…closed out the season with seven tackles in the Chick-fil-A Peach Bowl against Houston…registered seven or more tackles in six of the 13 games he played…led the team in tackles three times (Syracuse, Clemson and Florida)…finished his career with 272 tackles over 54 games…served as team captain for the final three regular season games (NC State, Chattanooga and Florida)…played in the NFLPA Collegiate Bowl in January (2016). First-year starter led Florida State with 122 tackles and captured All-ACC Third Team honors from the media and coaches…recorded the most tackles by a Seminole in 12 years – since Kendyll Pope’s 133 stops in 2002…ranked fourth in the ACC in total tackles and seventh in tackles per game (8.7)…two-time ACC Linebacker of the Week who started all 14 games…eclipsed 10 tackles six times, with a career-high 13 at Miami…made 12 tackles in the ACC Championship win over Georgia Tech…also made double-digit stops versus The Citadel (10), NC State (10) and Florida (11)…had nine tackles against Oregon in the Rose Bowl before injuring his knee…first career interception sealed 42-31 win at Louisville, where he had 12 tackles to earn his second ACC Linebacker of the Week honor…had a 31-yard “scoop-and-score” fumble recovery touchdown on a fumble he forced versus Wake Forest…added eight tackles against the Demon Deacons en route to his first conference weekly accolade…missed spring practice after undergoing surgery to repair the anterior cruciate ligament in his left knee in January. Back-up linebacker who played in all 14 games and saw action on special teams as a starter on the kickoff coverage and punt coverage units…eighth on the team with 46 tackles despite not starting a game…finished with a team-leading 11 tackles and a QB hurry against Syracuse…tallied five tackles against Bethune-Cookman…made three tackles – including 1.0 TFL – against Maryland…finished with six tackles against NC State…led the team with eight tackles, including 0.5 TFL, at Wake Forest. 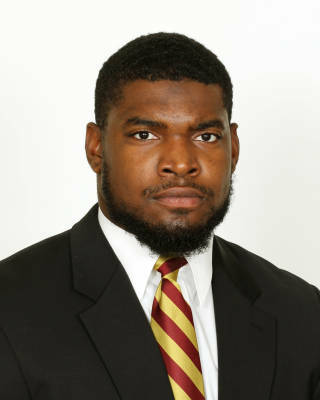 Freshman linebacker that played in 12 games for the Seminoles…posted 10 tackles on the season…had a career day against Boston College with six total tackles (four solo)…he also recorded a tackle for loss in the fourth quarter against the Eagles…also a key contributor on kickoff and punt return coverage teams. Four-star linebacker with exceptional athleticism who continued the pipeline from First Coast High School to FSU…analysts had been impressed with his ability to make plays all over the field consistently locating runners and tackling them to the ground… rated a four-star linebacker by Rivals, Scout, 247Sports and ESPN…Rivals had him as the No. 30 linebacker and No. 40 player in Florida…No. 35 outside linebacker and No. 37 player in state of Florida by 247Sports…ranked as the No. 28 linebacker, No. 42 overall player in Florida by ESPN…listed as the No. 112 prospect on the Mobile Register’s Super Southeast 120…earned Florida Times-Union All-First Coast Defensive Player of the Year honors as a senior recording 165 tackles, including 39.5 behind the line in leading the Buccaneers to the Class 7A championship game and a 13-win season…named to the 2011 Times-Union Super 24…as a junior, finished with 110 tackles, eight sacks, two forced fumbles and one fumble recovery for a touchdown… selected FSU after once being a verbal commit to Miami…born October 17, 1993…majoring in social science.